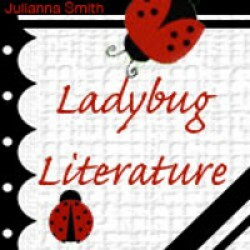 My name is Danielle and I am the blogger and the creator of Ladybug Literature (http://www.ladybugliterature.blogspot.com). I am a 27 year old full-time college student, part-time billing clerk for a local law firm, and full-time blogger/reader. My blog has been up and running for a little over four months and we have a moderate following already. We generate 4,000+ page views a month, we have 1,570 Twitter, 1,088 Facebook, 247 Bloglovin, 231 GFC, 409 Goodreads, 66 Networked Blogs, 58 Linky, and 65 E-mail followers on the site at present. I, personally, review mostly Young Adult, New Adult, Paranormal, Romance, Contemporary, Sci-Fi, Fantasy, Horror, and General fiction.